Movies and TV shows apps are mainly available for Android and IOS devices. From them Android is the winner because there are lots of free movies apps available. AppFlix is one of the best Movie app available to watch Movies and TV shows for free. This app is mostly popular to watched dubbed movies. It shows all the available resources for your search. Most of the people like to watch Movies using their PC or laptop. 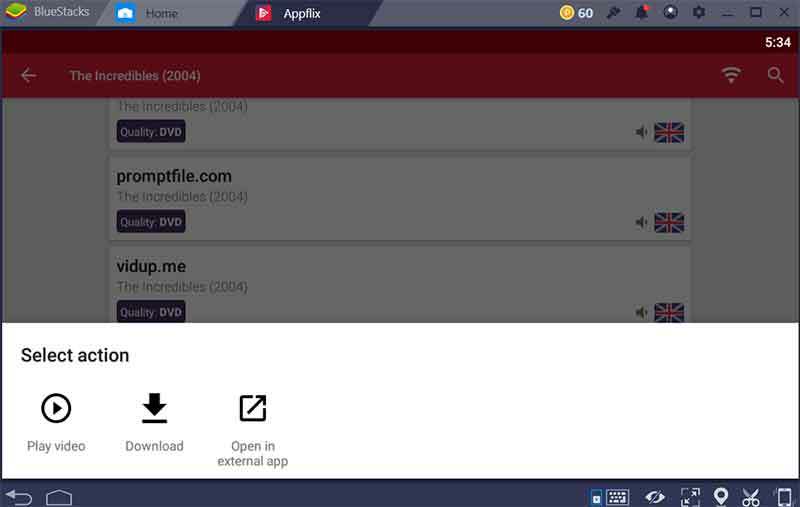 Now you can easily install AppFlix on your Laptop or PC. If you have Amazon Fire TV device check how to install AppFlix on Amazon FireTV tutorial. AppFlix is a superb app to watch old and newest Movies and tv show without ads. Watch FullHD (high quality) videos using AppFlix Movie app. Still there is no separate version of AppFlix app for windows. 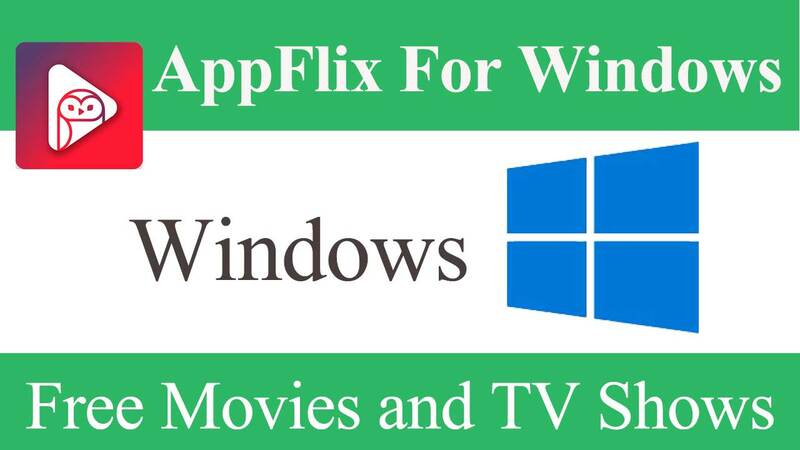 So you can install AppFlix Apk (Android version of the AppFlix Movie app) on your windows or MAC using BlueStack. I will describe the process of installing Bluestack and installing AppFlix apk using Bluestack easily. Check below video if you are bored to read. 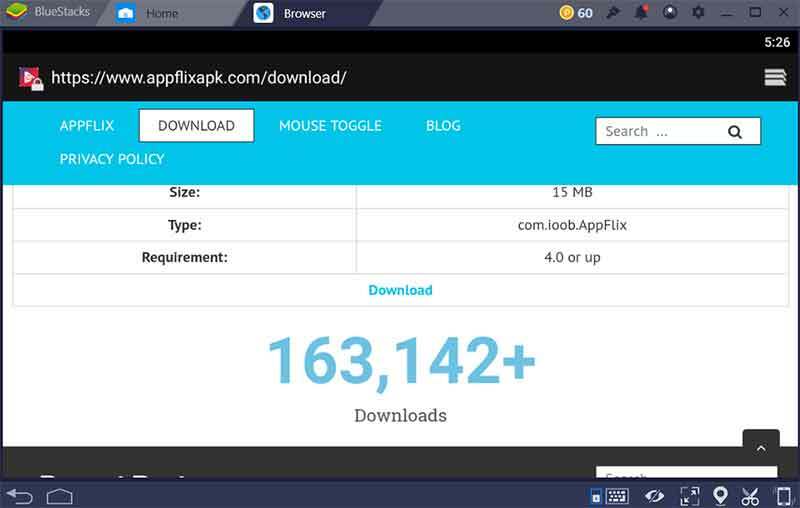 There are two ways you can download and install AppFlix. Installing AppFlix apk externally. Click here to download AppFlix Apk. You can go to web browser in bluestack and download AppFlix apk from there. For that go to www.appflixapk.com using the built in web browser and install AppFlix Apk. Next open AppFlix app and watch Movies and TV shows you like. You can choose language you like to watch using the results appear. Able to resume Movie so need to remember where you left off. AppFlix TV app is applicable on all TVs, PC/laptops, tablets, android phones, iPhones, and iPads. You can add Movies and TV shows to favorites. You can make your movie and TV show time at your place. Make sure to use VPN software to to make yourself hidden from the internet and avoid unwanted notices from ISP. This app is best to pass the time for your idleness at your home, office, long journeys, and family trips. You just need a simple internet and WiFi connection to download and install this beautiful app to enjoy movies and TV series.